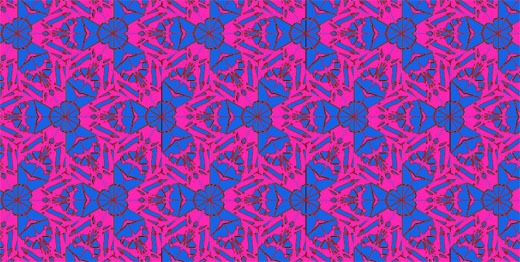 We've been quite interested in repetitive patterns lately. Here's a nice recurring pattern system composed of – depending on how you see it – irregular, perpendicular hexagons, or rotated and mirrored pentagons. These images show a saw cut, aggregate block of wood that has been hand dipped in black paint. The aggregate cutting idea is something I've had in my head for quite a while and I'm glad that I finally got around to testing it. The assembly required immensely more material that I imagined and in the end produced a look that I did not anticipate. Still, I like what's going on and am going to try more at a larger scale. We're working on a perforated wall panel system with a continuous knot pattern. Here's a view of four panels and their edge to edge alignment. I've always been frustrated by the fact that two dimensional projected patterns deform as they map over a given shape rather than respond intelligently to the geometry of the shape. What I wanted to do with Cloudform was to make a script that would map a geometrically consistent pattern on the surface of a complex form. It is simple in concept, harder in execution. After a bit of thought I realized the problem could be solved in a way similar to how faces are mapped in animation. 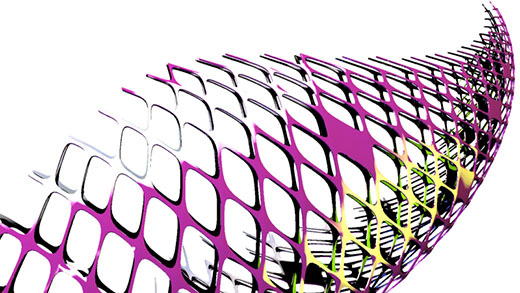 By projecting a two dimensional pattern onto a topologically identical but flattened version of the form, then reassembling the form, the pattern actually folds with the form rather than distorts around it. I've been playing around with an updated version of Fractalizer, a MEL script we wrote at Bureau V that produces a field of fractals on any given geometry. This image shows a plane with four levels of fractal division both in line and solid form. Slicer is a script I’ve written that cuts random angles into any form. Variables adjust the range of angles, the location of projection, and the quantity of cuts. A test of the fractal MEL script on a deformed surface. I just wrote a MEL script that produces fractal organizations. The example above has three degrees of fractalization. I'm working on other variations. 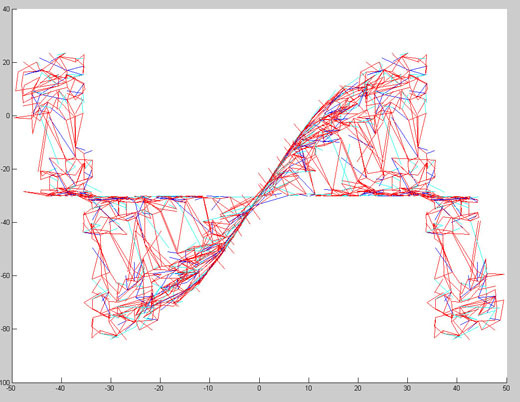 I'm working on a dynamically driven parametric surface for our installation at the Whitney. This is a series of tests using our Koala MEL Script in conjunction with the new randomization selection tool in Maya. This perforations in this surface were made using our Koala MEL Script and Maya's randomization tool. 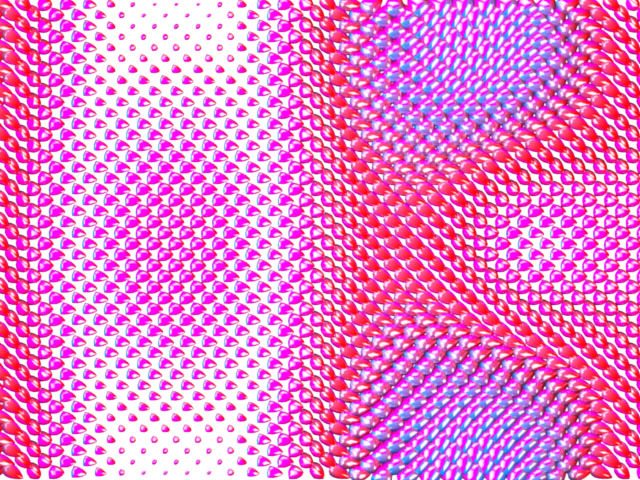 We made these color + pattern + variation studies earlier today while testing Koala, a MEL Script we have been developing for some time. Wolford is a MEL script I wrote that produces geometric primitives that contain a reciprocal relationship between form and perforation. The above renderings show a Wankel inspired torus with two slightly varied strategies. The left form has perforation with a bit of randomization whereas the right form is a consistent perforation based on the surface geometry. 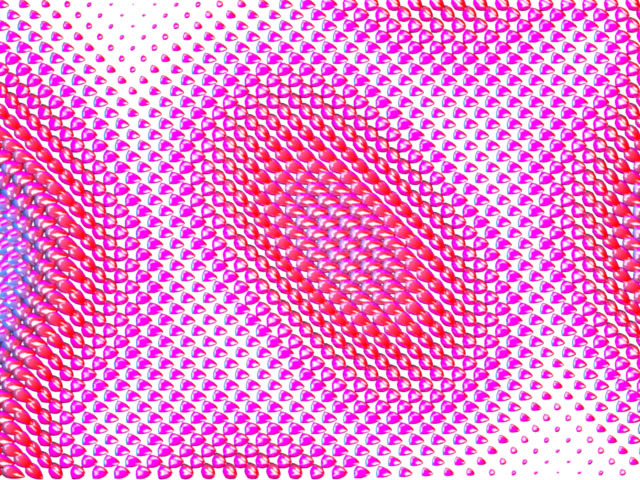 I'm working on a MEL script that perforates a surface proportionately to its geometry. These studies show the color options we've looked at for a gradient facade we are designing. I’ve started playing around with different types of tesselations. This is a six fold rotation made from a triangular tile in a hexagonal lattice.